Niagara Gazette — Niagara Falls may have another 100 hotel rooms soon. The Niagara County Industrial Development Agency expects to receive an application for assistance for consideration from hotelier Ali Rizek, who intends to build a Comfort Inn on an empty lot at 6115 Niagara Falls Blvd. at their monthly meeting this morning. The Rizek family owns the Econoldge next door and has been in the hotel business for more than 30 years, according to a press release from the agency. 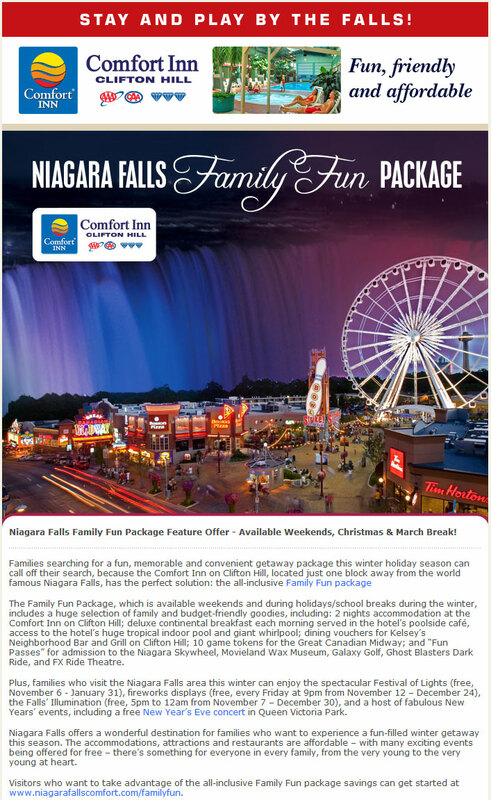 On November 30 I received the latest email newsletter from the Clifton Hill Resort. 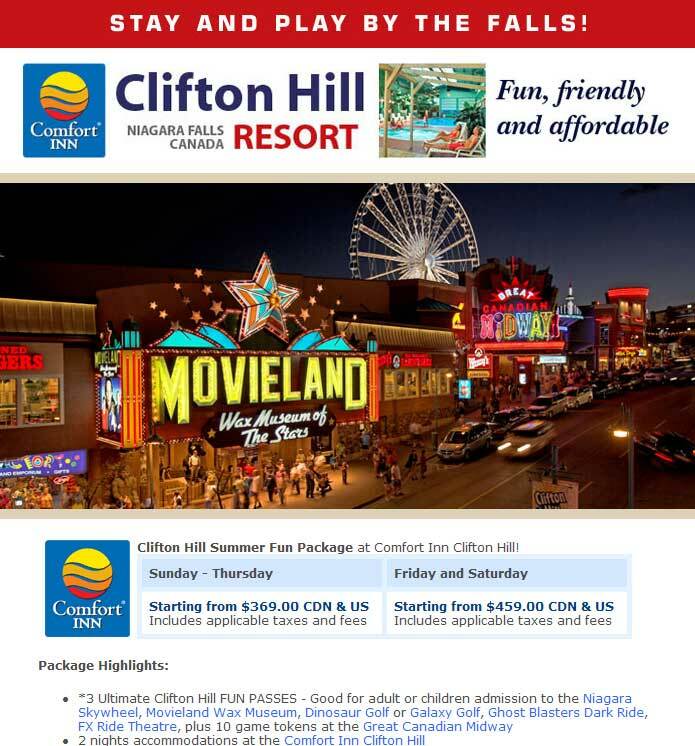 On Friday I received the latest email newsletter from the Clifton Hill Resort. 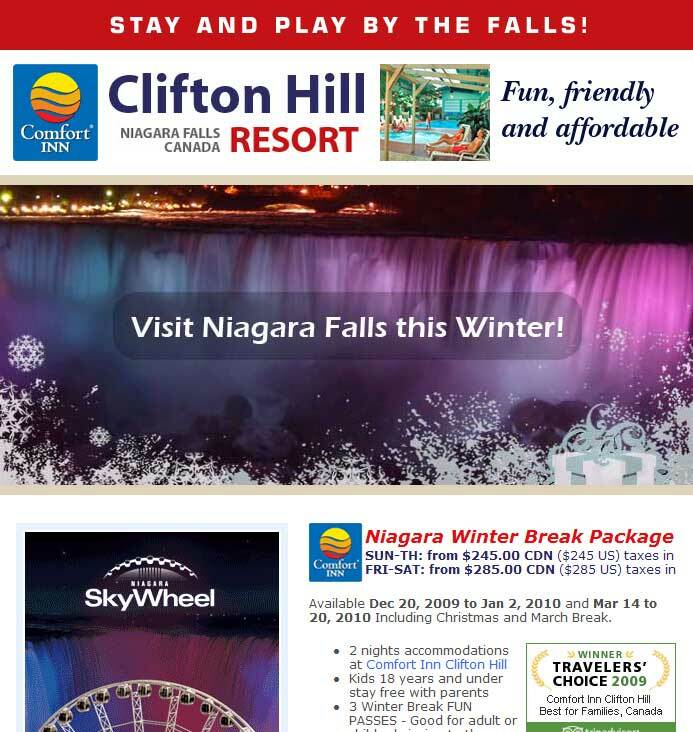 Last Wednesday I received the latest newsletter from the Clifton Hill Resort. 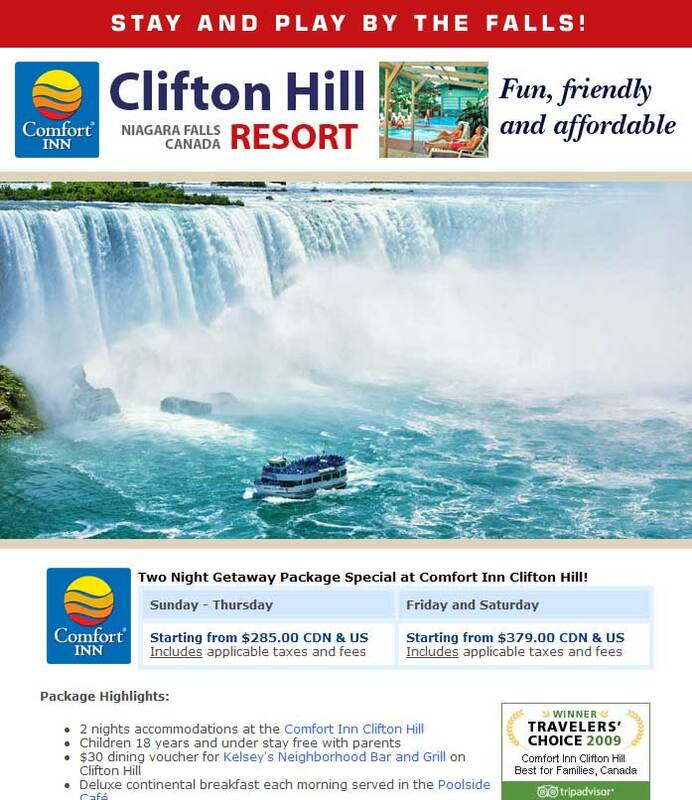 On Monday I received the latest newsletter from the Clifton Hill Resort. 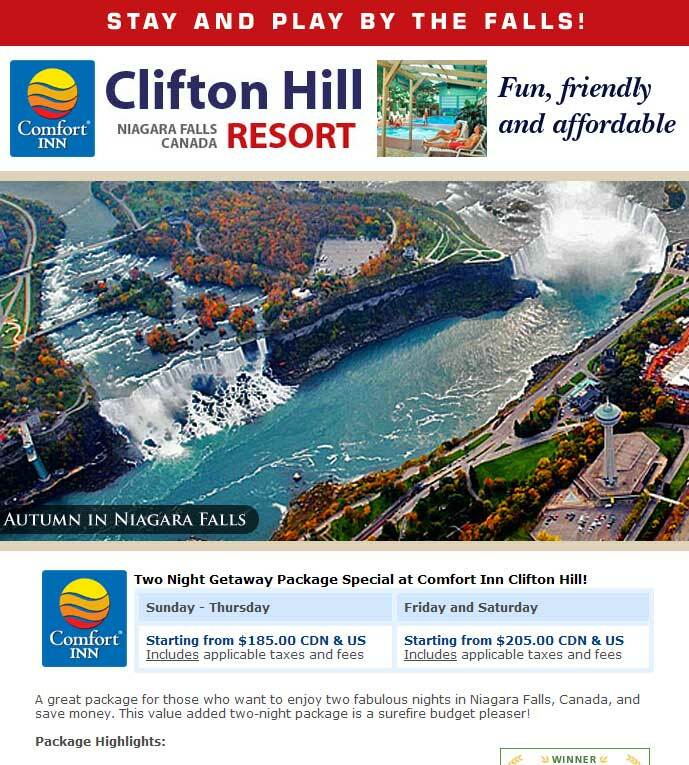 Last Thursday I received the latest newsletter from the Clifton Hill Resort. I am writing to express my appreciation for the wonderful care I received from Greater Niagara General Hospital, just recently, when I was an emergency patient in that facility. I also want to thank the wonderful staff at the Comfort Inn on Clifton Hill who could not have (treated) my wife and her family any better under unforeseen conditions, finding rooms for them and showing compassion and the utmost professionalism. Near the end of June I received the latest newsletter from the Clifton Hill Resort.